To create is to live fully: To heal. To dare. To dream. To BE. This is what I believe. This is what inspires this site. My books. My art. All of my work. This is what I long to share with you. When I find someone likeminded I listen to my gut closely before I say yes to collaboration, because in great collaboration, magic is made. Today’s post shares the chance to WIN the fruits of multiple women’s creative collaborations in not one but two FABULOUS giveaways. I first met Hali Karla online in 2014 when she approached me to be a guest teacher at Spectrum 2015. It was an immediate yes. And since then her work has enriched me beyond belief. When she interviewed me last year I nearly rescheduled, I was feeling low and tired. But connecting with her, leaning into the power of her questions, awoke wisdom in me I didn’t even know I had. (You can listen here). That is her ability – to coax magic, to use art to heal, to gather powerful creative souls. 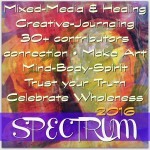 You are invited to join us for Spectrum 2016 , her online Holistic-Creative workshop guided by 20 NEW featured teachers and more than 20 returning contributors (including me!) offering a variety of workshops, inspiration and invitations – all intended to empower, nurture and celebrate your innate creative expression, healing journey, and personal development. 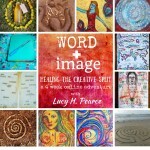 There will be weekly inspiration & reflective activities related to mixed-media art-making and journaling, guidance on integrating your creative process and holistic awareness into your day-to-day life, and a variety of opportunities to connect, support and share with others in the growing Holistic-Creative online community. To learn more about the details, including all of the contributors and workshop offerings for this course CLICK RIGHT HERE. Pre-registration for Spectrum 2016 officially opens on February 1, 2016 (and the program will begin on May 2). So be sure to bookmark this page (or link) – so that you can check back to see if you win the giveaway here or sign up just as soon as it goes on sale. We want to gift you with every paperback we publish this year – and send the e-books to two of your friends. This is what we have coming up in 2016. November: The Birthing Ourselves into Being workbook. 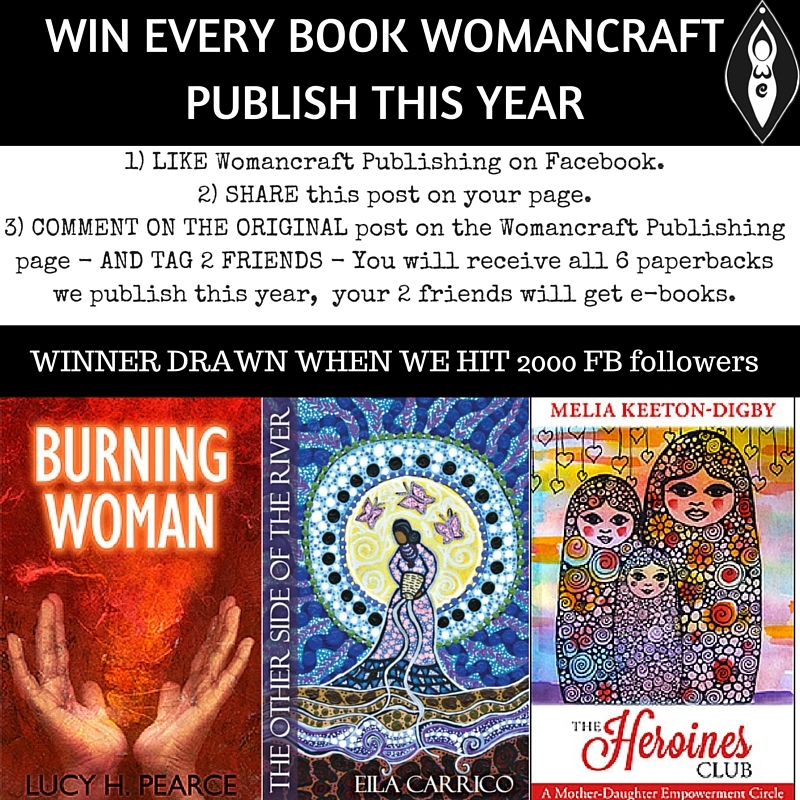 1) LIKE Womancraft Publishing on Facebook. 2) SHARE this post on your page. 3) COMMENT ON THE ORIGINAL post on the Womancraft Publishing page – AND TAG 2 FRIENDS – You will receive all 6 paperbacks we publish this year, your 2 friends will get e-books. THE WINNER WILL BE DRAWN FROM ALL ENTRANTS WHEN WE HIT 2000 FACEBOOK followers. The winner will be contacted via Facebook. Remember each blog is offering a chance to win! Enjoy the blog-hop, good luck on the give-aways, and I hope to see you in Spectrum in a few months! Following you on instagram now, already signed up for your notices. Thanks for the chance to win a spot on Spectrum and for all you do. 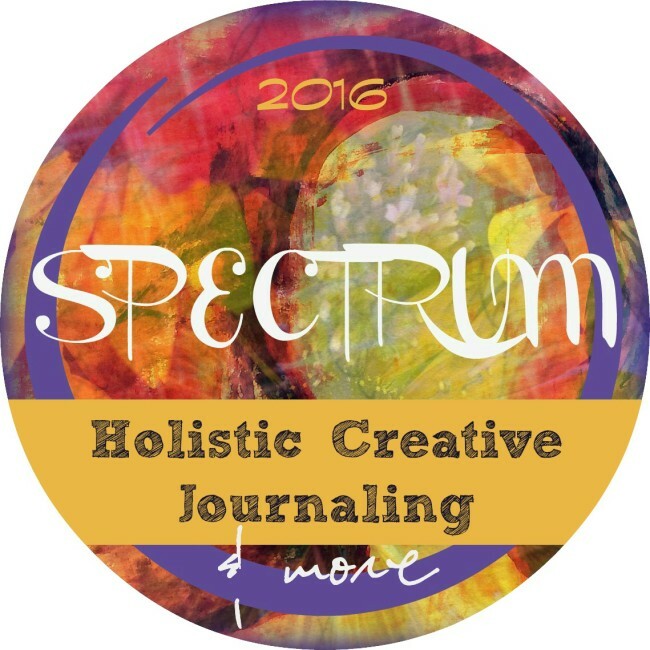 Spectrum sounds like such a wonderful workshop – the class and teacher line up is fabulous! 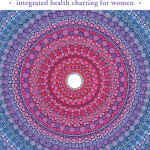 I’ve subscribed to your mailing list (and looking forward to reading the ebook!) and am following you on Instagram. I’m also off to check out Womancraft Publishing. Thanks for the chance to win a spot! Signed up for both lists. Thank you! Signed up for your newsletter and am following you on IG. Can’t wait for Spectrum in May! Me neither, Melissa! What a journey it will be! I signed up for your newsletter. Thanks for the chance to win a spot! Oh this workshop is so delicious and amazing… The teachers are outstanding. I have signed up for your email, and the women’s publishing list. Thank you so much for the opp to win a spot. I love going thru the hop I get to see all the wonderful teachers. Thanks Cindy! Welcome to Dreaming Aloud! Hi, I just signed up for your mailing list! Signed up for both lists and plan to enter your other giveaway too! I’m loving that I’m discovering so many cool blogs through this blog hop. Thanks for the opportunity to win a spot in Spectrum! Thanks, Avis! Great to have you here! It really is, Jennifer! Great to have you here! Hi, I just signed up for the dreaming aloud mailing list. Thanks so much for the opportunity. Hi Lucy! 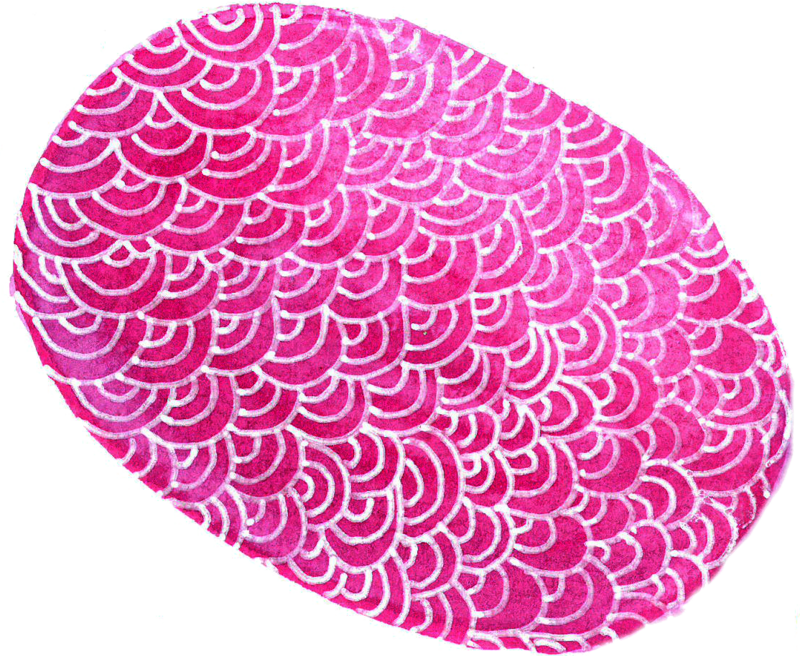 I signed up for your newsletter and am following you on Instagram @Dreaming Aloud (shamhat208). Thank you for this chance to win! Just joined your email list. Thank you for this offering. Looking forward to it. Thank you for this opportunity! I signed up for your newsletter. I signed up for your mailing list. Thanks for the opportunity to win a seat in Spectrum! I just joined your mailing list. Thank you! I am so excited to have found you! I have signed up for everything; newsletters, followed both your sites on Instagram, downloaded your ebook!!!! Thank you so much for this chance to win a place in Spectrum. Oh, thank you, Tina! Delighted you have found me too! Congratulations Tina – you are our winner! Hi. Just signed up for the Dreaming Aloud mailing list. Thanks! Thank you for the chance, I just signed up for the newsletter! Signed up for your mailing list, subscribed to your book club, and followed you on IG. Thank you so much for this opportunity! Thanks Kryste – great to be connected! Hello! I am following both Instagram accounts 🙂 Thank you so much for a chance to win a spot in Spectrum! The giveaway winner is… Tina Sawyer! Congratulations Tina – Hali Karla will be in contact at the end of the week.